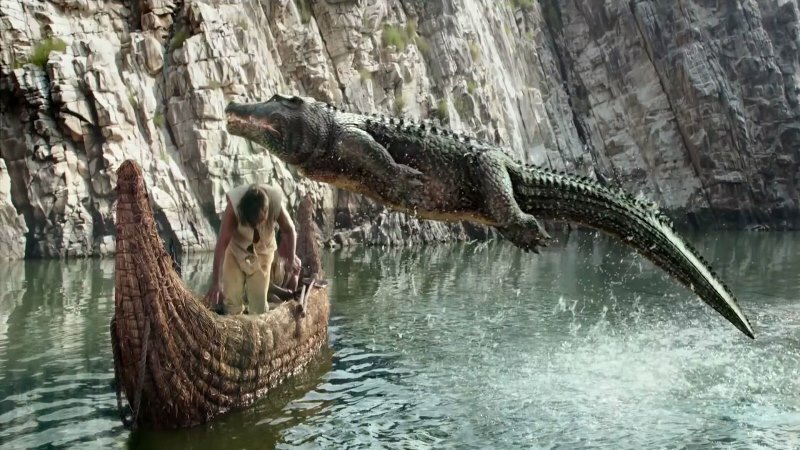 Crocodile flies over Hrithik Roshan! 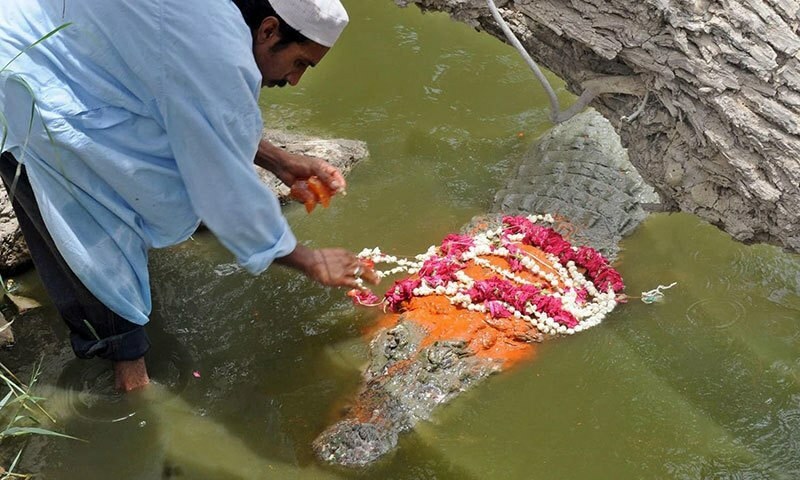 There are two crocodilians found in the Indus river system: One is the mugger crocodile (Crocodylus palustris) also known as 'magar much', and the other is the gharial (Gavialis gangeticus). Neither of them have the ability to fly....not even over Hrithik Roshan's boat in the film Mohenjodaro!!! The mugger crocodile is mainly a freshwater species, found in lakes, rivers and marshes. Muggers prefer slow-moving, shallower bodies of water to fast-flowing, deep waters. They eat fish, other reptiles and small mammals, such as monkeys, which they prey on as at the waters edge. Large adult muggers can sometimes prey on larger mammals such as deer, including the 225-kilogram sambar deer, and the 450-kilogram domestic water buffalo. At night they hunt on land, lying in ambush near forest trails. This species is considered to be occasionally dangerous to humans. The gharial is a fish-eating crocodilian, and is critically endangered with only a few hundred surviving in the wild. The adult male gharial has a distinctive bulbous growth at the end of his snout called a 'ghara' due to its resemblance to the round earthenware pot which is called 'ghara' in Hindi/Urdu. Gharials used to inhabit all the major river systems of the Indian Subcontinent, from the Irrawaddy River (Myanmar) in the east to the Indus River in the west, but their distribution is now limited to only 2% of their former range. They inhabit flowing rivers with high sand banks that they use for basking and building nests. They usually mate in the cold season. The crocodile is depicted on Indus seals, most of which come from Mohenjo-daro, although there is this 1995 discovery of a story tablet from Harappa . In his report of the excavations at Mohenjodaro, John Marshall has written: "The reptile shown on three of the seals...and on two of the sealings...is the fish-eating crocodile which still inhabits the Indus and other rivers of India. It can be readily identified by its very elongated thin snout. On both seals and sealings a fish is generally represented between its jaws. On No.360 the scales are represented by hatching, but in No.361 holes were drilled to indicate the scaliness of the creature." 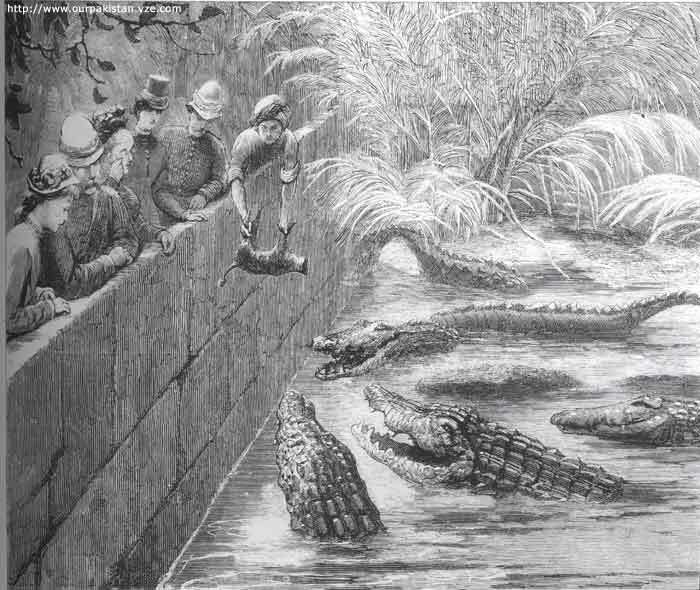 There is an interesting article on Manghopir here: "From legend to science: The crocodiles of Manghopir"
For Mugger Crocodile: Choudhury, B.C. & de Silva, A. (2013). Crocodylus palustris. The IUCN Red List of Threatened Species 2013: e.T5667A3046723. http://dx.doi.org/10.2305/IUCN.UK.2013-2.RLTS.T5667A3046723.en. For Gharial: Choudhury, B.C., Singh, L.A.K., Rao, R.J., Basu, D., Sharma, R.K., Hussain, S.A., Andrews, H.V., Whitaker, N., Whitaker, R., Lenin, J., Maskey, T., Cadi, A., Rashid, S.M.A., Choudhury, A.A., Dahal, B., Win Ko Ko, U., Thorbjarnarson, J & Ross, J.P. (2007). Gavialis gangeticus. The IUCN Red List of Threatened Species 2007: e.T8966A12939997. http://dx.doi.org/10.2305/IUCN.UK.2007.RLTS.T8966A12939997.en. Marshall, J. (1931). Mohenjo-Daro and the Indus civilization: Being an official account of archæological excavations at Mohenjo-Daro carried out by the Government of India between the years 1922 ad 1927. London: A. Probsthain.